Horizon Zero Dawn: The Frozen Wilds is ranked in the 92nd percentile of games scored on OpenCritic. The Frozen Wilds doesn't revolutionize or even significantly expand on the best ideas introduced in Zero Dawn. It succeeds in a more straightforward way: by giving us more of an already fantastic game. The Frozen Wilds enhances an already excellent game. The improved dialogue for a number of the characters shows that Guerrilla have clearly taken onboard the criticism levelled at Zero Dawn, while the additional enemy creatures are welcome and make the game feel well rounded and complete. I really enjoyed returning to the world of Horizon Zero Dawn and simply can't wait for the next game. Frozen Wilds' wintry wasteland looks awe-inspiring, but its story breeds the same disappointment as a melted snowman on Christmas morning. The Frozen Wilds stands next to the base game, it doesn't surpass it. If that sounds like something you want, I'd recommend it. If not, this won't make the game any better for you. For me, I enjoy Horizon: Zero Dawn, so a little bit more is right up my alley. The same tension is elicited when confronted by an imposing mechanical threat, and wonder is experienced when you round a corner and make another stunning discovery. If you’ve been looking for another reason to get back into Horizon: Zero Dawn, then you’ve got the best possible excuse right here. Horizon: Zero Dawn, and its expansion, The Frozen Wilds, is a game that should not be missed. Whether you are a Sony fan, Nintendo fan, or a Microsoft fan, you owe it to yourself to go and buy a PS4 if you don't already have one, and play this game. It is easily worth the cost to experience once of gaming's increasingly scarce masterpieces. The Frozen Wilds is more of Horizon Zero Dawn, and that is in no way a bad thing. The expansion offers some closure on certain story threads whilst telling a self-contained tale that's perfect for this ruined world you find yourself in. There's little in terms of mechanical upgrades to the game, but Horizon never needed that in the first place. Horizon Zero Dawn: The Frozen Wilds is everything DLC is supposed to be. For only $19.99 ($14.99 if you're on PlayStation Plus), the wonderful playground we last saw Aloy in is expanded by an impressively large, immaculately detailed, diverse landscape. Like the base game before it, this is a tough area that almost everyone will enjoy exploring. Yet for those who hate open-ended games, fast travel points and simple navigation can keep you on the beaten path, if desired. With more content in this fantastic expansion than other entire games, The Frozen Wilds is a must-buy, can't-miss experience. The Frozen Wilds expansion for Horizon: Zero Dawn is worth every single penny. Depending on how you play it and the amount of activities you completed you can breeze through it as quickly as 10-12 hours, or spend as long as 20-25 hours completing everything. The environments are spectacular and second to none that I have seen in other video games, with memorizing glacier glows and chilly blasts of icy snow, and the new machines have an added color range which really lights up the screen. Whilst the storyline is not quite as compelling as that of the main game – naturally, it is still a lot of fun to play and feels like it has clear purpose. I highly recommend The Frozen Wilds to anyone who just enjoys good video games, and am thoroughly looking forward to any further expansions that Horizon: Zero Dawn has to offer in the future. The Frozen Wilds is a great expansion for one of the best games of 2017. The added content is quite significant and the main missions tell an interesting story, too. The addition of new machines, skills, equipment, weapons and collectibles make everything even better. The Frozen Wilds adds more depth to Horizon: Zero Dawn as it also paves the path for a sequel that might be set in a different location that is far from the tribes. This expansion completes the overall formula that Guerrilla Games wanted to do with their latest IP, and with extreme efforts, they turned world of Horizon: Zero Dawn into a whole new level that I had enjoyed deeply. The Frozen Wilds makes no changes to the core gameplay, following the “don't fix what isn't broken” philosophy. Horizon: The Frozen Wilds DLC is everything a DLC expansion should be. If Horizon: Zero Dawn hooked you with its concept and its wonderful approach to an open-world Action RPG, then The Frozen Wilds will sink those hooks even deeper. 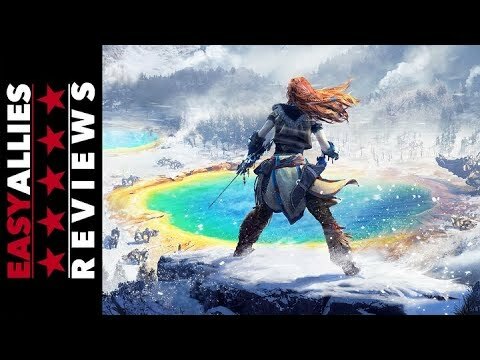 If you enjoyed Horizon Zero Dawn and want to revisit this universe again, The Frozen Wilds is a must have DLC that give the player an impressive area to explore as Aloy. Given that most players should be able to finish this game in around 10-12 hours, exploration is definitely the key to increasing the longevity of this DLC and once you have finished the main mission, you're free to continue exploring. Horizon Zero Dawn: The Frozen Wilds succeeds at giving the fan a well-thought out DLC from start to finish. Everything that made Horizon Zero Dawn the outstanding work that it is undeniably carries over to The Frozen Wilds. A must have expansion for one the best games of this year. The Frozen Wilds definitely crowns Horizon Zero Dawn. Horizon Zero Dawn: The Frozen Wilds is exactly what a great expansion pack should be. Guerrilla Games have provided a brand new experience, expanding on what they had set up in Zero Dawn and improving what was already a great game. I loved every minute of the 15 or so hours back in that world. The amount of new content, beasts and objectives left me feeling extremely satisfied by it's end. Seeing Aloy again, it's just the best thing in the world. 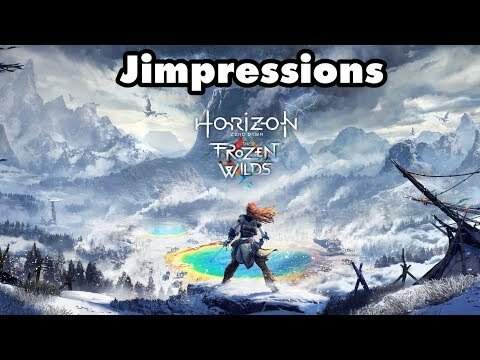 Horizon Zero Dawn: The Frozen Wilds is a successful Expansion of an amazing game that could have used a bit more variety and is sadly making the same mistakes from the main game. The great balancing and the new challenges will still entertain fans of the game in the usual quality and offer new replay value. Overall, "The Frozen Wilds" gives one more taste of the game's amazing combat, world and character animation to players like myself who loved Horizon (whether it was straight away or after coming back to it). It's a pity that Guerrilla has stated this will be the game's only piece DLC as it lays even more hints for a greater story in this world. A great DLC that has everything that made Horizon Zero Dawn special, and goes even further. The Frozen Wilds is a great expansion to Horizon Zero Dawn that feature a new area, a new storyline and new equipment for Aloy that add to the main game up to 20 more hours of gameplay and amazing places to discover. The expansion comes at a fair price that allows anybody who loved the original game to adventure once again in the fascinating sci-fi world made by Guerrilla. You cannot miss this. In what is easily one of the best expansions of the year, Guerrilla Games gave us an interesting new story arc, some great new characters, and most importantly a reason to revisit a game that was probably shelved months ago for most gamers because there is literally too much good stuff this year. It's great to have some new content for Horizon, and this piece of DLC certainly does it justice. With challenging fights, great characters and stunning scenery, The Frozen Wilds offers more of everything we liked Horizon Zero Dawn for. The Frozen Wilds delivers a 15-hour story expansion at a very fair price, following the production quality of the main game. The new additions are fun and it’s the most beautiful Winter Wonderland ever created. A sizable new adventure for Aloy in a frozen wilderness that gives Horizon fans more of what they love. Frozen Wilds fits perfectly within the original content from Horizon Zero Dawn. The new weapons make for a better, more motivating experience. On top of this, the story expands upon the mythology that the original HZD built, making it a bigger world with more worthwhile content to live within. It's quite remarkable how well Guerrilla built this game and how perfectly the DLC fits within it. Good addition to an already good game, just don't expect any real change ups to what came before. The Frozen Wilds expands the main game experience, with new machines, new abilities for Aloy and a complete new environment, but it neither complete the main story nor add new gameplay mechanics. Horizon Zero Dawn: The Frozen Wilds is an excellent addition to an amazing game. Developer Guerrilla has doubled down on the thrill of the hunt with more challenging machines and testing side quests that are added to the original map through an intriguing new storyline that delves into the mystical side of this post-apocalyptic world. It left me wanting start a brand new game, just to wander around the world, marveling at it. Horizon Zero Dawn: The Frozen Wilds is a very good expansion to the core game, with a new region to explore, new quests, new activities and a new level cap to reach for Aloy. The Frozen Wild is a great DLC that takes the core game, makes some new additions, and gives player a reason to return to the world in great form. Horizon Zero Dawn: The Frozen Wilds is a very good DLC that tells a new story and broades the scope of the main one. With many missions to accomplish and a brand new location in the frozen lands of the Great North, it is a must buy extra content. The Frozen Wilds is the last ride of one of the best adventures of 2017. This DLC adds 10 more hours to the base game thanks to a new zone with a brand new story, enemies and secrets. The perfect expansion for the Horizon fans. The Frozen Wilds offers a lot more to the overall experience of Horizon Zero Dawn, but it's not quite the stand-alone experience that we want it to be. Even though it doesn't shake things too much, The Frozen Wilds is a worthy expansion that is fun exploring. The DLC adds a new story, several side-quests and lots of challenges that will entertain veterans and newcomers alike. The Frozen Wilds isn’t a must play expansion, but it’s a damn good one. It challenges skills you thought you’d already mastered and there’s more Aloy. That’s enough to get a recommendation from me. This 15-hour expansion cements Horizon Zero Dawn as an impressive and memorable new title that holds its own in a year filled with quality RPGs. The Frozen Wilds gives a generous boost to Horizon: Zero Dawn's big and beautiful open world. All in all, Horizon: Zero Dawn - The Frozen Wilds is a straightforward and respectable expansion. It adds to everything that worked well in Horizon: Zero Dawn and does so with confidence. The Frozen Wilds features some of the most fun content in the game, but it's also a very orthodox addition that doesn't make many changes to the core of the game. It's great if you want more Horizon content, but if you were burned out or hoping for a game-changing expansion, this isn't it. Fans who are chomping at the bit for more Horizon action will enjoy The Frozen Wilds. Many people's game of the year will likely be a third person action adventure boasting strong RPG leanings, a player character for the ages and a wealth of gameplay innovations, which also served as the perfect showcase for the new console technology it launched upon. Horizon Zero Dawn: The Frozen Wilds is a short, but substantial expansion for an already great game. It doesn't reinvent the game in any major way, but offers a few excellent hours in a world that players have come to love. The Frozen Wilds expands the Horizon Zero Dawn's gameplay driven philosophy to a brand new area, packed with tons of action and a new questline. The DLC offers a solid 10 hours more of the same experience, while Guerrilla Game's open world still shines after nine months in terms of breathtaking visuals and compelling gameplay. Made for those who have devoured the whole of Horizon: Zero Dawn, this DLC isn't just about upping your game. It's a rich expansion of Aloy's world, with flashes of comedic brilliance and narrative depth. It's been a long wait, but Aloy's new adventure into The Frozen Wilds is every bit as fulfilling as the main game. A gorgeous expansion that emphasises Horizon's strengths - it may feel a little too familiar at times, but the core gameplay is as solid as ever. Horizon Zero Dawn remains one of the best games of 2017 and The Frozen Wilds complements it with a decent chunk of new content. Horizon: Zero Dawn delivers a timely reminder of why it should be a Game of the Year candidate with The Frozen Wilds. This sizeable selection of snowy quests expands upon an already excellent campaign with a decent new storyline and plenty of fresh exposition. While it is, by its very nature, more of the same, it's hard to complain when the foundations are already so strong. The Frozen Wilds arrives in time to petition for a spot on Game of the Year lists. The expansion accomplishes this goal with ease, rehashing what worked the first time around. Sure, The Frozen Wilds doesn't add much new, and shares Horizon's flaws, but the expansion operates fine when taken as simply more of a great thing. 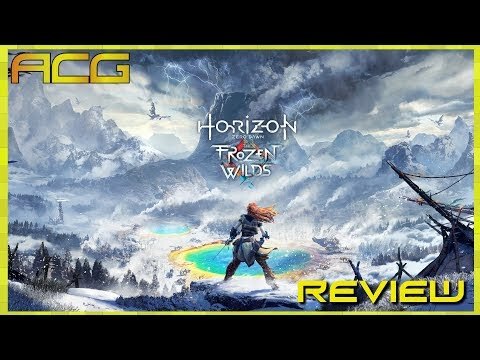 The Frozen Wilds feels a bit less unique compared to the base game but if you can ignore that you will find a lot to like and love about Guerrilla Games' latest effort. As DLCs go, this does the expected such as adding a new area, new skills and enemies and weapons, but where it truly succeeds is in the characters and plot and situations it introduces, which add a lot to the experience and complements the game nicely. If you enjoyed the gameplay experience in Horizon Zero Dawn, you'll enjoy what's on offer in The Frozen Wilds. Its machines pose even more of a threat than some of the most intimidating beasts you came across in the main game, side quests help to flesh out the concise story experience, and the new weapons and outfits on offer are powerful additions to your arsenal. The Frozen Wilds offers a delectable slice of familiar action in a new, dangerous, yet beautiful land with plenty of lore and content to keep you exploring The Cut long after you've completed your quest. Guerilla Games managed to impress with Horizon Zero Dawn, and now studio did it again with The Frozen Wilds expansion. You'll travel to beautiful new region, fight new machines and unravel another mystery. If you liked the original game, then you'll definitely like this DLC, too. Horizon Zero Dawn: The Frozen Wilds does not start a revolution and has a pretty weak storyline but it offers enough new and diverse content that all fans of mechanical dinosaurs wanting to return to this world after defeating Hades should play it without hesitation. If you had fun with Horizon Zero Dawn, "The Frozen Wilds" DLC will do likewise. The expansion does not introduce many changes, but it offers a big, beautiful snow-covered land. Horizon Zero Dawn: The Frozen Wilds is currently the best DLC this year. 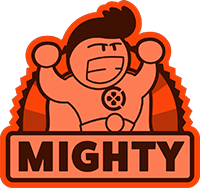 It offers an exciting story, new enemies and a lot of fascinating puzzles. If you have already played the base game, new adventures of Eloy are simply obligatory for buying. The Frozen Wilds extends the already fantastic Horizon experience into a region worth exploring, but uneven difficulty and only a few surprises await. The Frozen Wilds doesn't feel like a must-play add-on, but it's more Horizon Zero Dawn. It's something you can enjoy once or stack with New Game+ runs when you inevitably play through it again. In other words, an actual expansion. While the new content in The Frozen Wilds is on par with the rest of Horizon Zero Dawn, it's hardly a must-play expansion. The story tells us little we didn't already know, and the new weapons and quests feel like more of the same. Tougher combat scenarios are most of what it brings to the table. If you hoped the first (maybe only) Horizon Zero Dawn expansion would expound on the game's ending, you'll be disappointed. It may seem like I'm being extremely harsh on The Frozen Wilds, but it needed to offer something new. Guerrilla Games has made an excellent world with some very interesting lore behind it, and I am definitely keen for a sequel, but at the end of the day, unless you are a huge fan, and really want to know more about the Banuk tribe, there's no real point to this DLC. Nothing unexpected in The Frozen Wilds. It adds a few pleasant features, a lot of cool characters, sidequests, content, challenges and things to collect to the recipe of a great game. As it's extending its universe well, we can say the job is done. And now we're waiting for the next chapter. A generous expansion that through its stunning visuals and inspired creature design showcases the best features of the original, even if it doesn't fix many of its flaws. The Frozen Wilds introduces many poorly-designed elements which make it a lesser experience than its brilliant base-game.